With GcImaging, you can create, load, modify, and save images in .NET Standard 2.0 applications with full support on Windows, macOS, and Linux and deploy as FaaS with AWS Lambda, Azure functions, and more. 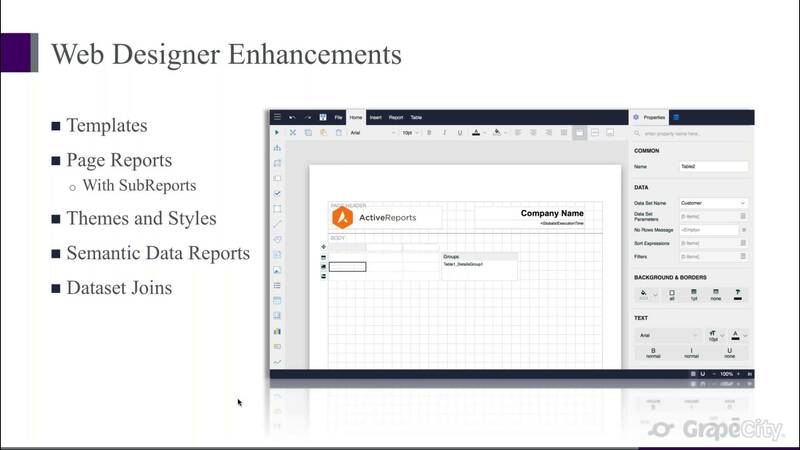 New in ActiveReports 13, the ProDesigner for Web is a long-awaited feature that allows your users to design and run new reports in a web-based reporting solution. 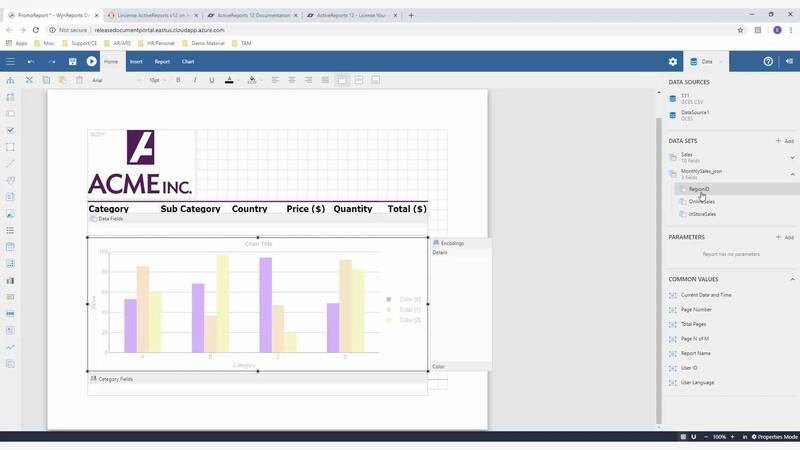 Based on the popular ProDesigner control, a .NET designer that can be added to desktop reporting apps, users can edit existing reports… update data sources… add charts… configure charts… and generate report reviews. 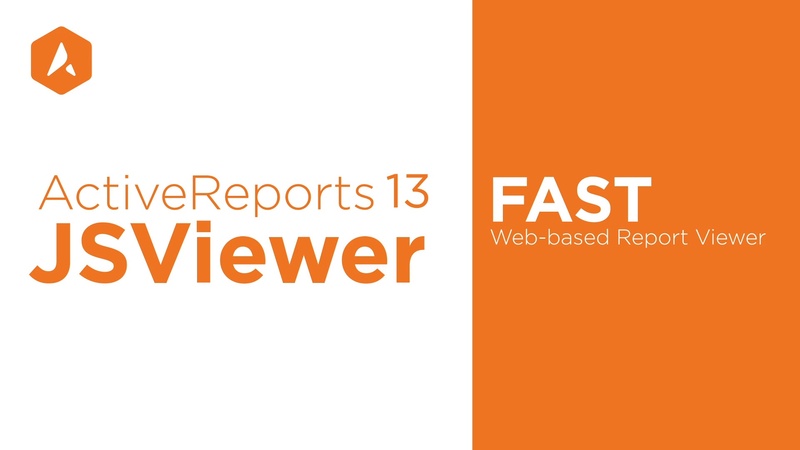 ActiveReports 13’s JSViewer is a fast, web-based report viewer that can run on any modern browser. The JSViewer supports the major web application frameworks, including Angular, Vue, ASP.NET Core, ASP.NET MVC, and HTML5. 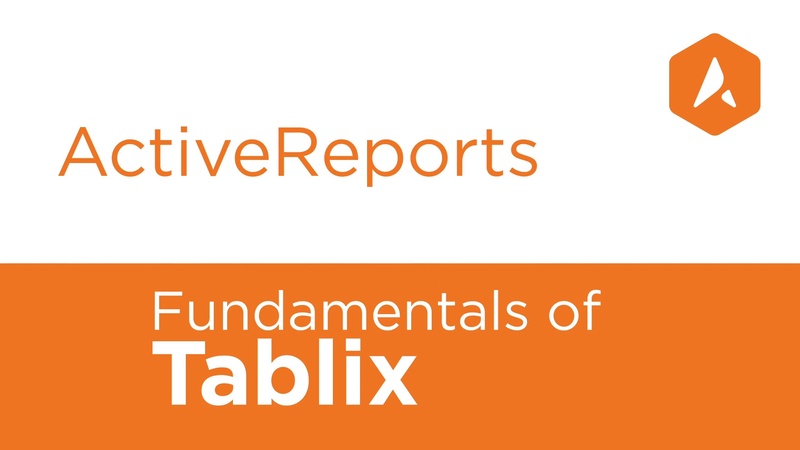 In this video, we will walk you through the fundamentals of Tablix in Active Reports. Let’s say you want to analyze and present the sales results, based on the raw data provided in tabular form. To get useful information from this based on Products, Year or Region, it would be time-consuming; however, In ActiveReports, you can organize such data quickly. 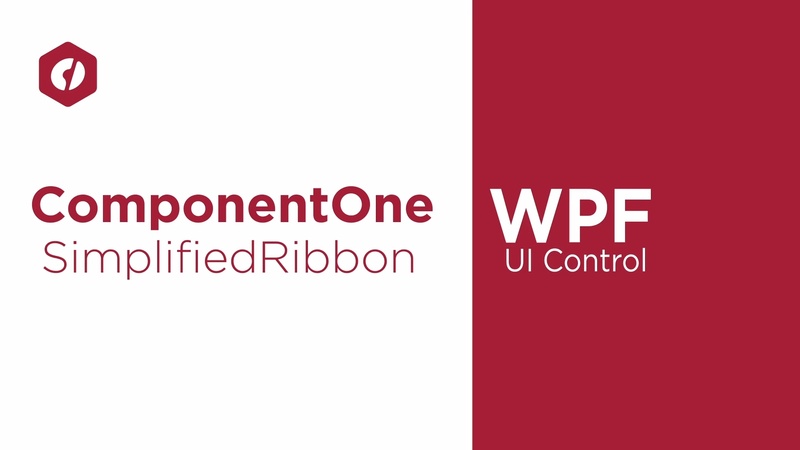 The SimplifiedRibbon is a new ComponentOne UI control for WPF for 2018v3. It’s simple, compact built to fall between a Toolbar and the traditional Ribbon. 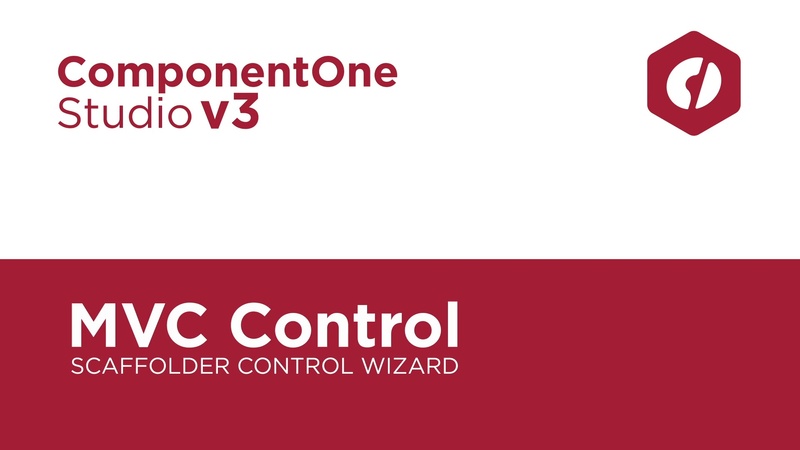 The control has a simple, customizable design that allows you to toggle between a single row collapsed state and a more complicated three-line view. This allows you to always keep some options in view even when you want to preserve vertical space. Microsoft also provides their own Ribbon control for WPF, but the control is large, complicated, and not always straightforward to customize. The Simplified Ribbon is meant to act as an alternative to that with a much simpler API and straightforward customization options. 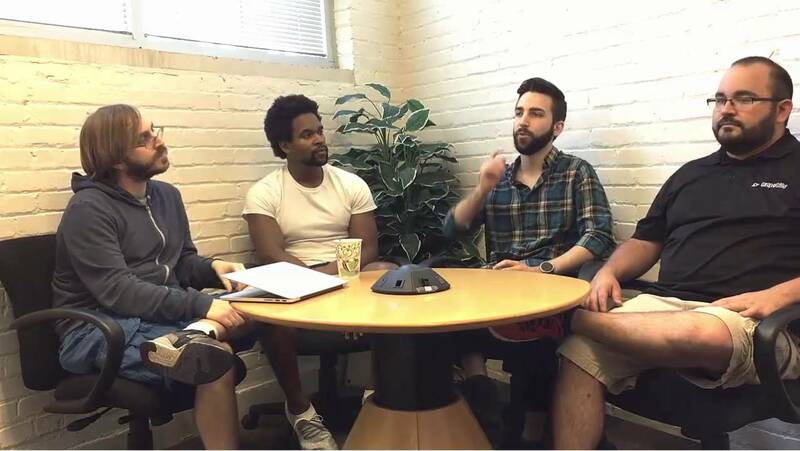 Four GrapeCity developers (GrapeCity's Kelley Ricker, Ethan Conner, Troy Taylor, and Justin Mack) talk about NET Core 3, Microsoft open sourcing WPF and WinForms, and what to expect from Visual Studio 19. 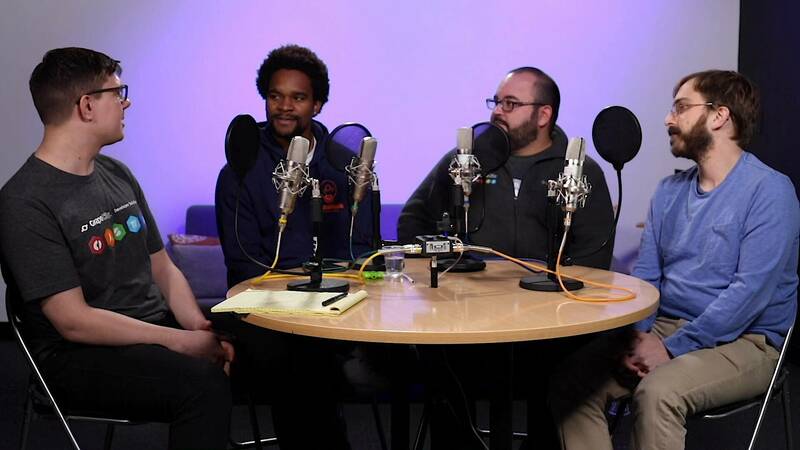 Four GrapeCity developers (GrapeCity's Kelley Ricker, Ethan Conner, Troy Taylor and Justin Mack) talk about Visual Studio, Xamarin, Windows Polaris, Progressive Web Apps, 2018 Fluent predictions, what to expect at Microsoft Build 2018, and more. If you're programming in Java and looking for an Excel API that works with Excel documents, we have good news for you! GrapeCity is pleased to launch Documents for Excel (GcExcel), Java Edition. GcExcel Java is a high-speed, feature-rich Excel document API based on VSTO. We recently released the GcExcel for .NET Version in April, and with this launch it's now possible to use a similar package in Java applications. 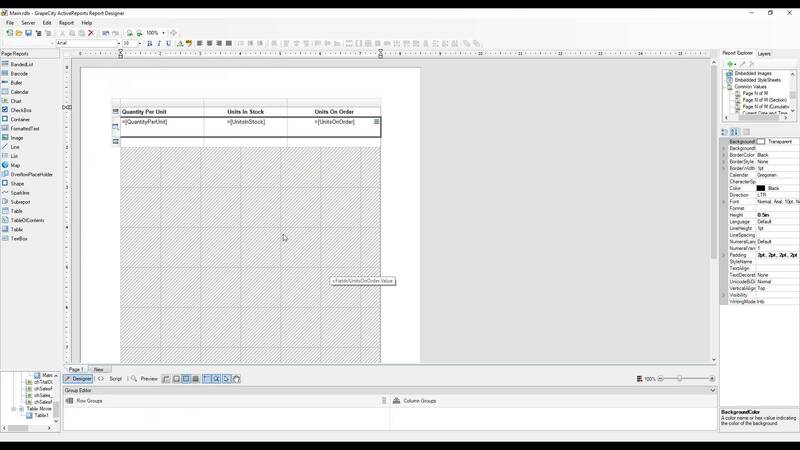 In this video, you will learn how to generate an Excel spreadsheet using GcExcel - Java in a Java application. 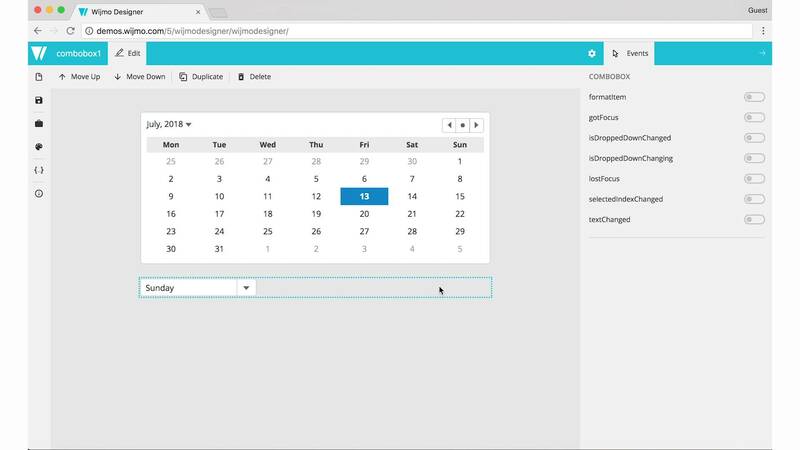 We’ll add features to the spreadsheet like a Pivot table, Styles, Conditional Formatting and Charts. 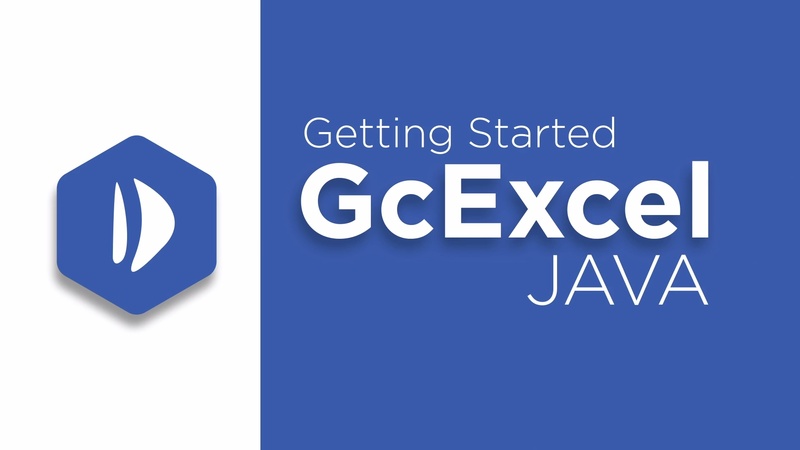 In this tutorial, we will use IntelliJ as the Java IDE to work with GcExcel - Java. The steps of adding the package and working with GcExcel - Java are the same on all three Operating Systems - Windows, MAC and Linux. Introducing GrapeCity Documents for Word on Linux | Word API for .NET Standard 2.0. This video will walk you through how to get started with GcWord -- on Linux. Introducing GrapeCity Documents for Word API for .NET Standard 2.0. With a familiar and easy-to-use object model, GrapeCity Word's high-performance library includes an object model to create DOCX files through code; load DOCX files; access the object model and add, remove, and modify objects (and their properties); and then save to a .docx file or export to PDF. This video will walk you through how to get started with GcWord -- on Windows. 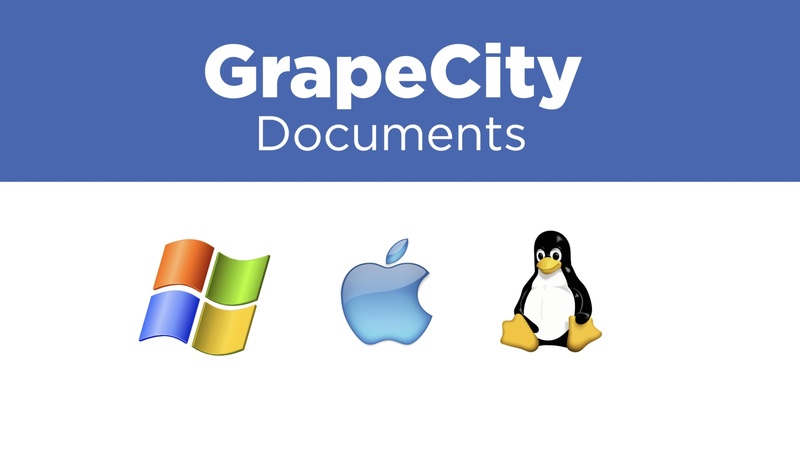 Introducing GrapeCity Documents for Word on Mac | Word API for .NET Standard 2.0. This video will walk you through how to get started with GcWord -- on Mac. 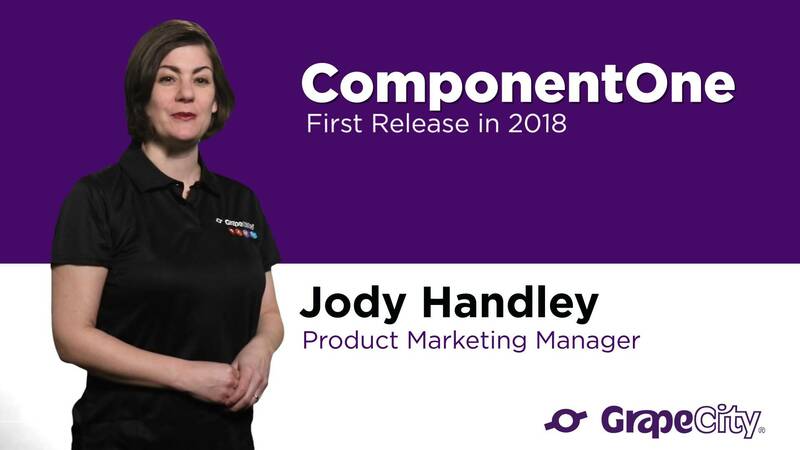 GrapeCity' s 2018 v2 release introduces a new extension for Visual Studio Code that targets Angular development. The Wijmo Designer extension for VS Code assists with Angular development by providing a WYSIWYG design surface for editing markup tags that represent Wijmo controls. It also supports the creation of new Wijmo markup tags by providing a standalone mode where you can experiment with control properties, child objects, and collections. 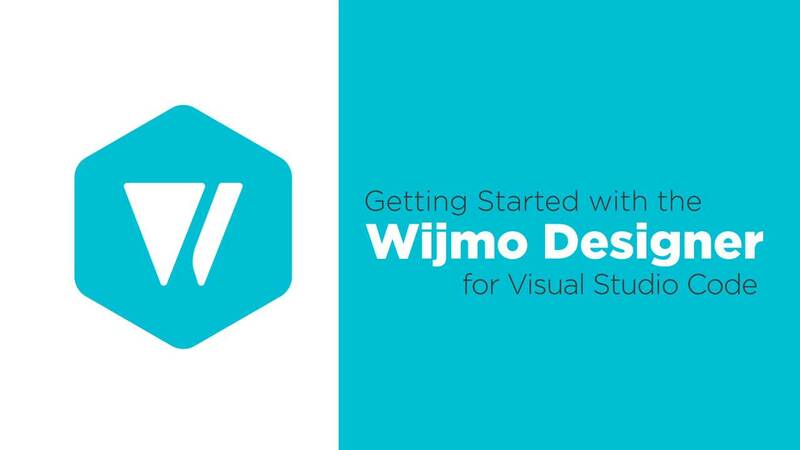 With the 2018 v2 release, we introduce the Wijmo Designer -- a web-based designer that enables developers to easily set properties in a code-free, visual environment. 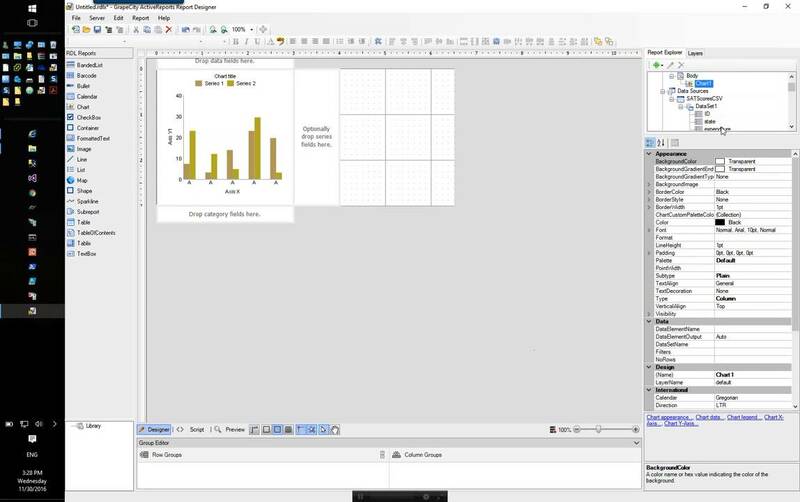 Editable controls include FlexGrid, FlexSheet, FlexChart, Input, Gauge, Nav, and OLAP. The powerful new Wijmo Designer VSCode Extension enables designers to edit the properties of a Wijmo control in a visual interface and then immediately view the changes to the code in another VSCode tab. 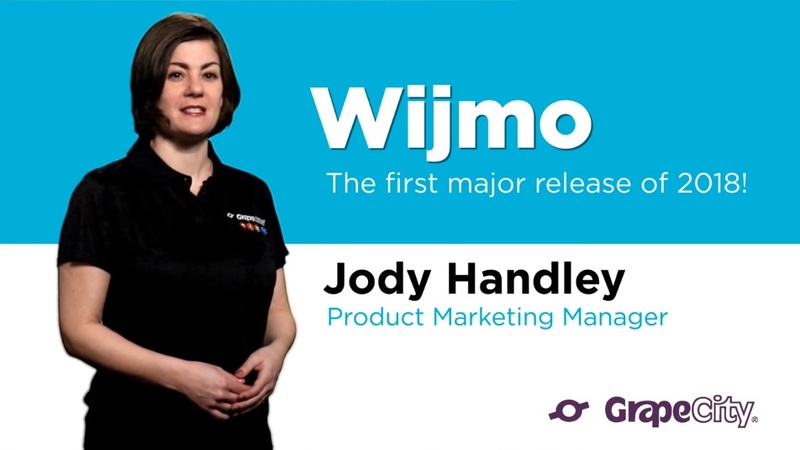 This video demonstrates how to use the the Wijmo Designer. We're pleased to announce the launch of a new product line to GrapeCity's family of components. 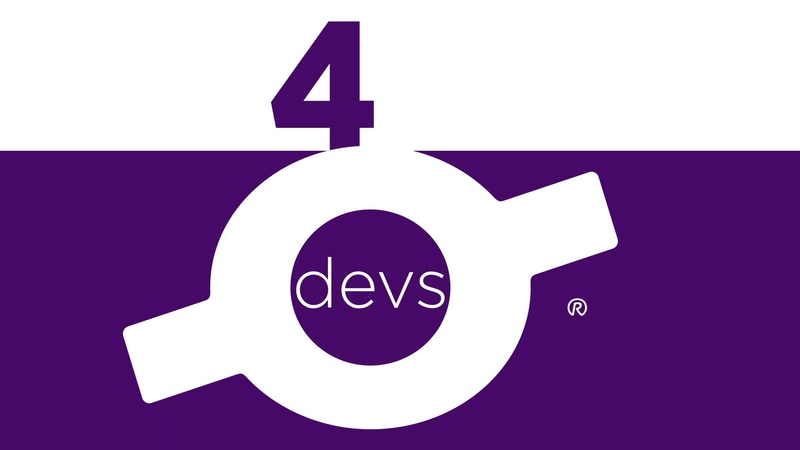 GrapeCity Documents currently includes Documents for Excel and Documents for PDF, both .NET Edition and including support for .NET Standard 2.0. The products are available separately for purchase. New charts and features added to FlexChart include Pareto chart, axis grouping, options for managing overlapping in axis and data labels, and custom legend icons. 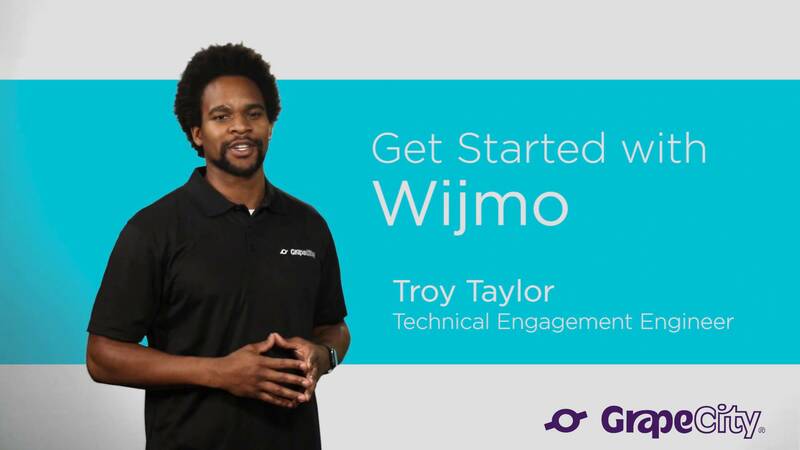 Wijmo is now available on NPM! 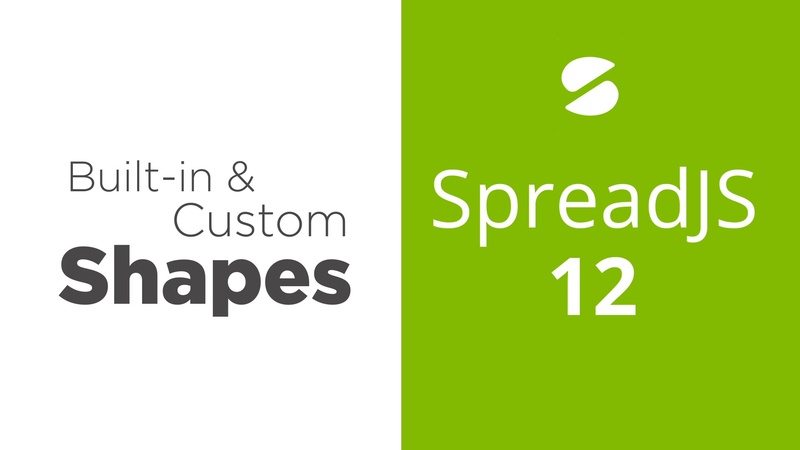 Learn what's new in ActiveReports 12, including new Dataset Joins, subreports, and CSV export. Hosted by ActiveReports PM Mateen Firoz. ComponentOne Studio for Xamarin has been re-architected to better serve our users and the Xamarin platform in general. 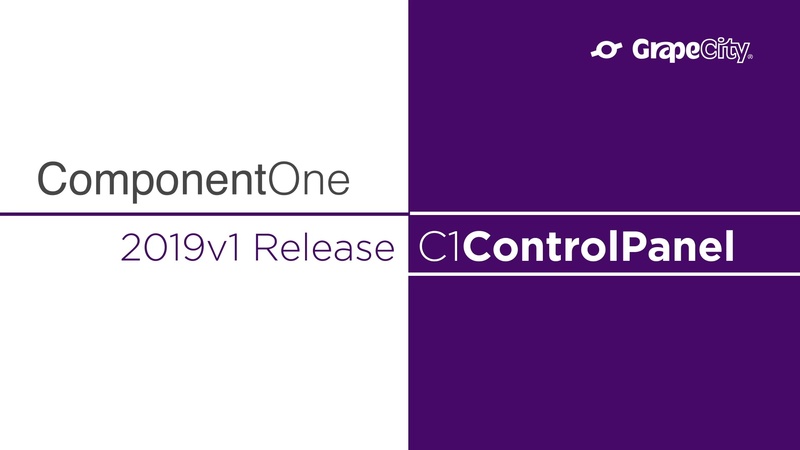 The new control suite brings a many exciting new features for cross-platform development. 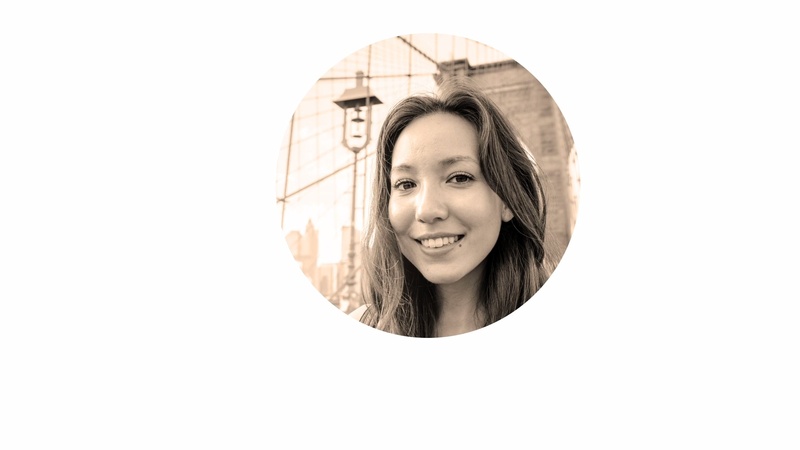 In this webinar we'll cover the basics of Xamarin's platform, and the exciting new features in ComponentOne Studio for Xamarin. 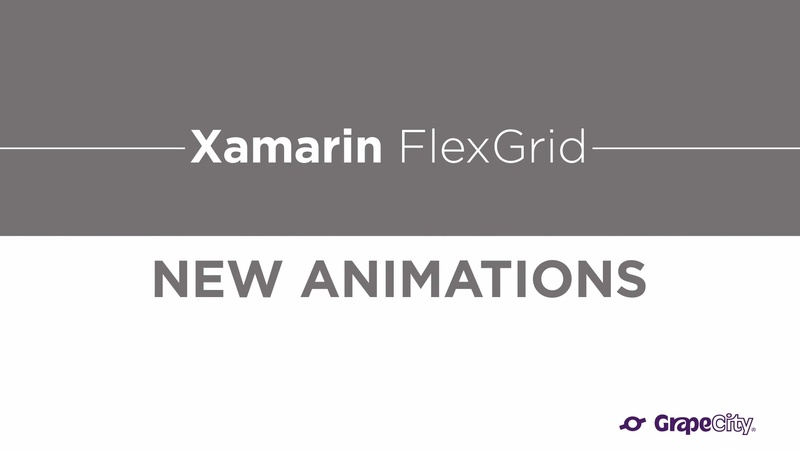 With improved performance, support for Xamarin's designers, and many new control features it's one of our most exciting releases. 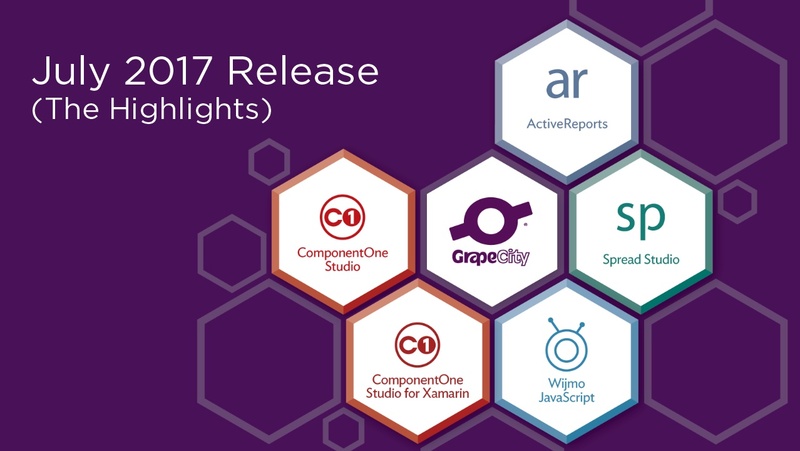 See what's new in GrapeCity Products in July 2017. 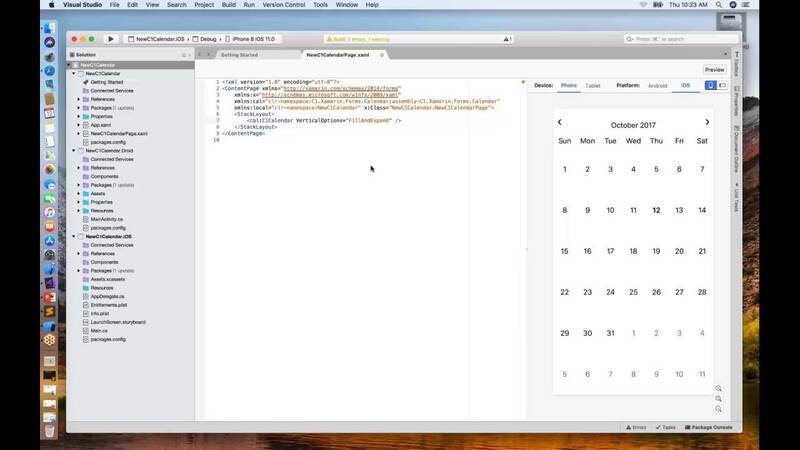 Includes new product ComponentOne Studio for Xamarin. 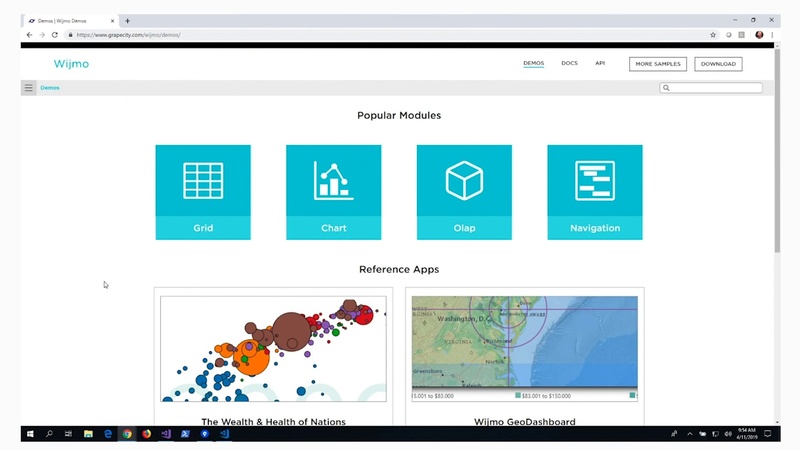 See what's new in ActiveReports 11. Full webinar.